As many wheelchair users know, wheelchair travel is not the easiest task to accomplish; thus the reason I am choosing to discuss planes, trains, and automobiles… Wait what? I mean planes, wheelchairs, and adaptive sports equipment. 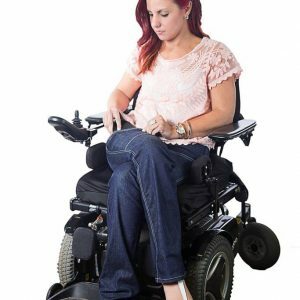 Now that I have your attention, when it comes to wheelchair travel, each of us understands that traveling with a wheelchair can be a daunting task for some. For othrs, we can make it daunting for our travel companions: spouse, friends, family members, etc.… Before I get too far in-depth, I will apologize in advance as to date, all my wheelchair travel has been while using my manual chair; I have yet to take the risk of traveling with my power chair as I have seen what some airlines do with my manual chair. As with any trip, proper planning is imperative: choosing an airline willing and able to accommodate your all your needs. Unfortunately, airlines do not all share the same policy when it comes to disability travel, though they all should be working in accordance with the American’s with Disabilities Act. If you are not in control of which airline you fly or the booking of your tickets, be mindful when your flight itinerary arrives. Now, you might be wondering how you may not have control of the airline or flight booking; with all the travel I do participating in adaptive sports, the vast majority is handled by other organizations. The moment the itinerary arrives, I review to ensure my wife and I are on the same flight. Yes, it has happened where we have been booked on separate flights; does no good for your caregiver to be on a different plane. If you reside close to the airport and it will not create a undue burden, if you need to make changes, i.e. seat assignments, or plan on traveling with oversized or odd shaped equipment, you can let the agents know and they can update your itinerary. If that is not an option, each airline has a designated Disability Assistance line; which usually does a good job addressing needs or concerns. 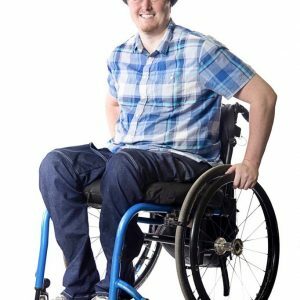 For those new to wheelchair travel, don’t be afraid to ask questions; ask those who have the experience as they have more than likely seen the good and the bad from most airlines. I for one would prefer to fly on Southwest. The reason, they do not segregate their cabin and when you pre-board their cabin door is wide enough to accommodate most standard manual wheelchairs and you can roll to the front row and transfer. For anyone who travels enough, you know how much using aisle chairs is a royal pain in the rear. The front row also allows for extra legroom in the event you deal with spasticity, require the use of a prosthetic, or travel with a service animal. 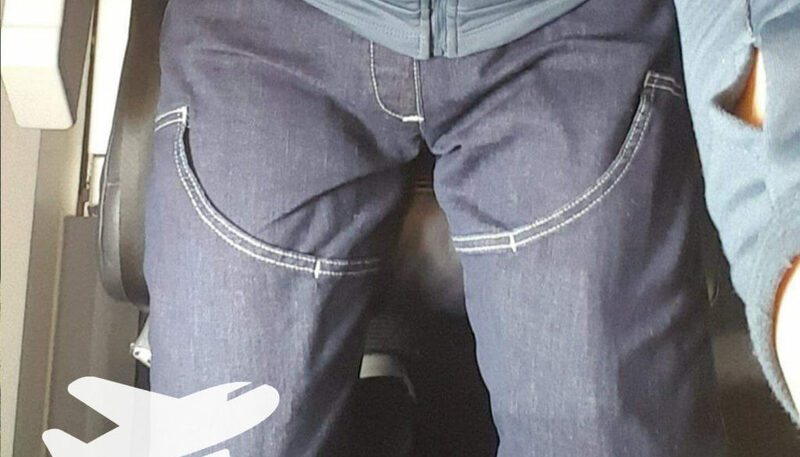 If you a happen to choose another airline to fly the friendly skies, be prepared to use the aisle chair. As for the reasons I mention above with regards to sitting in the front row on Southwest, other airlines will make the same accommodations with their bulkhead seats. However, if you desire to change your seat to the bulkhead, it is recommended you do so no later than 24hrs prior to your departure time; within 24hrs, the airline may open those seats for sale to any passenger(s) who desire the extra legroom and are willing to pay a few extra bucks. Do not let the agent(s) tell you need to pay an upcharge for a bulkhead seat or what some consider: economy+, comfort+, etc. as that is not correct, passengers traveling with a disability are not required to pay additional fees if switching from previous booked seats. 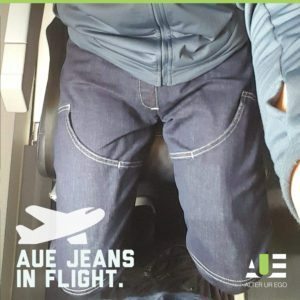 ALTER UR EGO Adaptable Jeans are even good for flying! The one element you have no control over is the customer service provided by the airline staff. I have been on the receiving end of both customer service that is beyond reproach and that in which I would fire the individual if they worked for me during my management days. I will not address the bad, but will share one of the good. While preparing to travel with Delta Airlines, I had called the Disability Assistance number as I had previously stopped by the airport to make seat changes and was informed all bulkhead seats had already been sold. Wait, sold! This was 2 weeks out from my scheduled departure. How is this possible if the policy of the airline is to hold those seats for travelers with disabilities up to 24hrs prior to the flight? Instead of getting frustrated, which I did a little, I went home and made the call. Sadly, by this point I do not recall the kind lady’s name, but the level of customer service she provided was impeccable. As she was extremely apologetic for what happened, she took the time place a call to every passenger on the flight, who purchased the bulkhead seats, to see if they would be willing to give them up for my wife and I. It took her until the last passenger to finally get someone on the phone and they were more than willing to accommodate. For the agent to take that much time, while she placed me on hold and periodically checked back, was impressive. Yes, I still needed to use the dreaded aisle chair, but the flight was easier knowing I would not be kicking the back of someone’s seat the moment I got spastic. 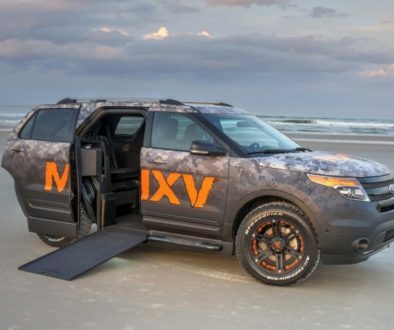 When it comes to traveling with adaptive equipment, you learn a few things along the way. First, don’t always trust the airline will take care of you items the way you do. Second, well, back up and read the first one again. One of my friends who had previously flown with her handcycle was the unfortunate recipient of just that. On her return flight, the airline failed to handle her cycle in the manner she directed and when she arrived home, it came off the conveyor mangled. For that reason, if you ever see me traveling with my handcycle, you will see it being dragged through the airport and to the gate. This accomplishes a couple of things: (1) it keeps the airline from charging a ridiculous amount of money to check it because it is of unusual size and (2) I can explain to the gate agent and handlers exactly how to handle it when they place it in the belly of the plane. You may get some odd looks, and most of them are simply from those trying to figure out what it is and they will often ask questions or you may get the gate agent who wants to argue that you need to take it back to ticketing and pay for it. The first, I welcome and am more than happy to talk about any of my equipment with those who are curious rather than deal with the gate agent who has no idea what he or she is talking about. If I can take my bags to the gate and then gate check it to my final destination to avoid paying a baggage fee (usually only works on bags small enough to be considered carry-on) then why not a handcycle, basketball chair, or race chair; or all of the above. Yes, I’ve actually taken all of them through at one time. The standard of practice is you can check two mobility devices at no charge. So if I travel with my manual chair and a handcycle, the way I see it, the handcycle is another mobility device. If the airline breaks my manual chair in transit, you bet, I will lower myself onto my handcycle and ride it through the airport; imagine the looks that would get! My closing thoughts, not all airlines are willing to go the extra mile to assist you and your needs. Be prepared to cite rules and regulations if an agent or member of the flight crew is doing something outside the guidelines. Don’t be afraid to direct them on how to handle your equipment; does not matter if it is your everyday chair or a piece of adaptive sports equipment, you know how you like it to be handled and you expect it to arrive at your destination the same way you left it in their care. Most airlines do not like to cover the cost of damaged equipment. Some even cap the reimbursement amount at $1000 per passenger. Yes, you’re reading that correctly $1000 and we all know there is no way to replace a mobility device for that amount; and don’t be afraid to let them know. Lastly, be polite even if they’re being unpleasant; you will get more accomplished and more will be willing to assist. What good or bad experiences have you had while traveling?